When I was a kid, the public library in my hometown of Minneapolis had a real Egyptian mummy, a 2,000-year-old woman. Displayed in a glass case, partially unwrapped, she was small (about my ten-year-old size), shriveled, and dark brown. A card said her elaborately decorated coffin revealed that she was Lady Teshat; she'd died as a teenager and, as part of the mummification process, her brains had been pulled out through her nose. I was mesmerized. Out of time and place, her eternal rest horribly violated (even by my gaze), she seemed to me to be an emissary from an amazing and previously unimaginable culture. Lady Teshat, who now resides at the Minneapolis Institute of Art, came to mind as I was reading James Cuno's controversial new book, Who Owns Antiquity?, in which he rails against cultural property laws that have made it nearly impossible to legally export not only mummies but almost any relics from the countries in which they're found. Cuno, president and director of the Art Institute of Chicago, contends that these laws, though regularly rationalized as a means to protect archeological sites, are actually about something else. The real argument over the acquisition of "unprovenanced" antiquities "is not what it appears to be," he writes. "It is not really between art museums and archeologists, about the protection of the archeological record from looting and illicit trafficking.... It is between museums and modern nation-states and their nationalist claims on that heritage." According to Cuno, any current state's claim to ownership of ancient cultural objects is false. Antiquity belongs to humanity, he says, and cultural artifacts belong in big, "encyclopedic" museums—even if that means moving them from poorer to richer countries. Though he makes this argument from his vested-interest vantage point atop one of the world's richest cultural treasure troves, he locates its origins in his first encounter with a museum—the Louvre, no less—where, at age 19, he was amazed to find "the world under one roof." 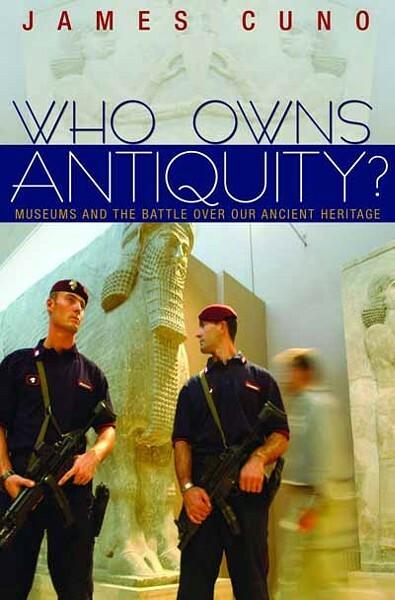 Published last week, Cuno's book traces the history of cultural property rights over the last half century, from a conference in the 1950s to UNESCO's 1970 convention prohibiting "illicit" antiquities exports. 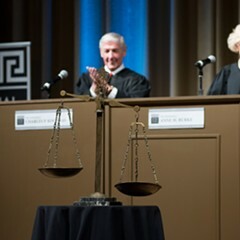 The U.S. didn't sign onto that convention until 1983, he notes, and only gave it teeth in 2001, by applying the Stolen Property Act to antiquities prosecutions. But Cuno wants to move away from the question of whether a particular import—say the British Museum's Elgin Marbles, excised from the Parthenon 200 years ago—is legal and toward the deeper one of whether any nation should be able to lay claim to any cultural object. Culture predates nationalism (which only really got going in the 18th century) and runs counter to it, Cuno argues. Nations may use cultural objects to build national identity and loyalty, but culture, by nature, is polyglot. Nationalism divides us and leads to violence; culture can unite us in our common human heritage. This is a lovely vision, but it might take an invasion from outer space to motivate people to make it work. And it's led Cuno into some weird territory. He suggests, for instance, that modern Egyptians have no more in common with the pharaonic past than the fact that they occupy the same stretch of land, and that Qing dynasty artifacts don't work as national cultural symbols because they have little meaning for the less than 10 percent of China's population that belongs to minorities. Archaeologists, in fact, do have their underwear in a knot over the market-driven looting of third world archeological sites, and many are active supporters of national cultural property rights. But Cuno calls on them to reexamine a position that makes culture subservient to political agendas and leaves artifacts at risk in unstable environments. He says strict "retentionist" laws have not reduced looting and prescribes instead a return to a partage system, in which scientists from developed countries are allowed to excavate sites in less-developed areas if they leave behind a portion of the treasure. He says ownership of cultural property should not be based on national borders, but on three simple goals he ascribes to legal scholar John Merryman: preservation, knowledge, and access. Taken to its logical conclusion, says Jane Waldbaum, University of Wisconsin professor emerita and past president of the Archaeological Institute of America, Cuno's argument would make it permissible to "sell off the Constitution and the Liberty Bell—let the Louvre have them if they can pay enough." According to Waldbaum, "Mr. Cuno would like to have a free-for-all antiquities market. 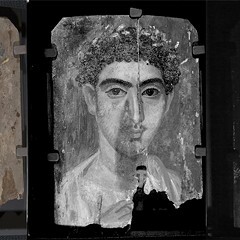 The underlying motive is, 'I would like to fill my museum with beautiful things and not have anybody stop me'—while the main thing archaeologists are interested in is finding as much information as we can about those things," an effort that requires context. As for partage: "If you can convince modern governments to do it, fine. But if you can't, the solution is not to ignore their law. That just encourages looting by setting high prices and a no-questions-asked mentality. The tide is turning against that." In the last couple weeks Cuno's landed a major profile and a positive review in the New York Times (which wondered if he'd been talking to the Metropolitan Museum about its soon-to-be-available top spot). A reviewer for the Wall Street Journal pointed out "surprising errors" in the book's account of Islamic history, but nevertheless pronounced it "excellent." Cuno got a drubbing, however, from Arts Journal blogger Lee Rosenbaum, who noted that "source countries" view "partage as a polite word for pillage" and characterized the book as "an intemperate screed" that should eliminate Cuno from consideration at the Met. 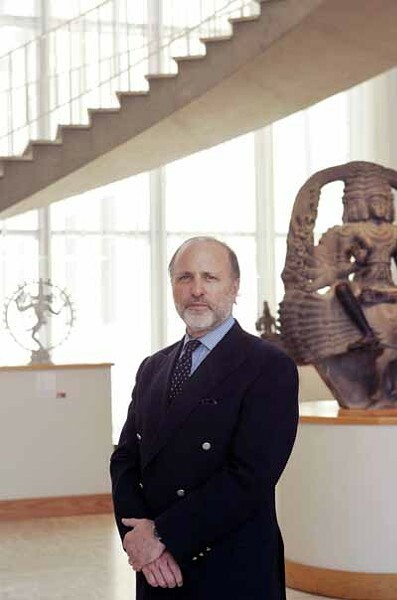 Blogging under the headline "James Cuno's Illogic," Larry Rothfield, faculty director of the Cultural Policy Center at the University of Chicago, charged that Cuno mistakenly blames retentionist policy for the destruction of artifacts in the Kabul and Iraqi museums. "The lesson here is not that retentionism is a better policy than internationalism," Rothfield wrote. "It is, rather, that the fate of cultural heritage depends less on a country's legal framework... than on its power to enforce whatever laws it has and its will to protect... its cultural policy." The way things work now, Rothfield says, "very wealthy collectors go into the market seeking very expensive artifacts which, after a period of time, they donate to museums for a tax deduction. The money that they spend on those artifacts drives thousands of looters to dig wherever they can. If the objective is to protect cultural heritage, one would think that Cuno and other museum executives should be trying to develop ways to protect archeological sites." Rothfield advises a tax on antiquities sales, with the proceeds to be earmarked for things like "helping the Iraq Antiquities Board to hire more police." Cuno says he expected negative response to the book, and suggests that "some people have responded without reading it." He says he wrote it because he felt the museum view hadn't been sufficiently presented. "I hold those views sincerely," he states. "I hope that the book contributes to the discussion of the larger issues. We all have a stake in it, all of us who care about the ancient remains of humankind."